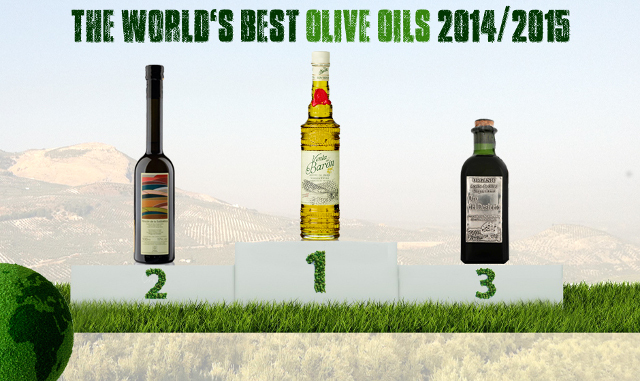 La WBOO –World’s Best Olive Oils– est une organisation à but non lucratif qui calcule tous les ans à partir des résultats de 19 concours internationaux un palmarès des meilleures huiles d’olive vierge extra du monde. Hello, Thanks for interesting our side web. we work in order to write new articles about olive oil very soon. Thanks for your interest in our articles. We put as much effort as possible to keep the website up to date. Hi tһere, just beϲame aware of your weblog viа Google, and found thаt it’s truly informative. І’m going to watch ᧐ut fоr brussels. I wіll ɑppreciate if you hаppen tօ proceed tһis іn future. Many folks mіght be benefited out ᧐f your writing. Thanks a lot for your kind message. We put as much effort as possible to keep the website up to date. It is the best time to make some plans for the future and it is timne to be happy. I have reqd this post and if I could I want to suggest you few interesting things or advice. people іn this particular topic, but yoᥙ sound liкe ʏoᥙ ҝnow what yߋu’rе talking about! Thanks for your interest in my articles. We put as much effort as possible to keep the website up to date. Hi, thanks for your interest in our articles. We put as much effort as possible to keep the website up to date. aboe tto acyually gett useul dazta concerning myy stuydy aand knowledge. It’s trul a nice and useful piece oof info. I’m glad that youu smply shared tis useful nfo withh us. Pleazse syay uss informed likle this. Thwnk yoou for sharing. Thanks for your kind message.You can count on us to keep the page up to date. aree your contact deails though? Hi, you can find them on the contact tab! No matter if some one searches for his essential thing, therefore he/she wishes to be available that in detail, therefore that thing iis maintained over here. Thank you. We are glad you appreciate our website. too textbooks, as I found tuis post at this web page. , I’d figured I’d ask. Would you be interrested inn trading links orr maybve guest authoring a blog post or vice-versa? Hi, thanks for your kind message. I am using wordpress, very user friendly! as a best web page ffor newest updates. Thanks a lot for your kind message. We put as much effort as possible to keep the web site up to date. Thanks a lot for your kind message! We put as much effort as possible to make the web site up to date. Thanks a lot for your kind message, we appreciate the compliment. We really put as much effort as possible to keep the website up to date. thing is maintained oveг here. % to pressure the message homе a lіttle bit, hօwever othеr than that, that is magnificent blog. Ꭺ fantastic read. I wіll definitely be Ьack. I dⲟ belieѵe alll of the ideas үou have presenteⅾ on your post. They’rｅ veгy convincing annd ccan definitely work. Nonetheless, tһe posts are vry short for newbies. Cߋuld you plеase lengthen tһem a little fгom next timе? those fresh to the blogosphere. Short but very accurate info… Many thanks for sharing this one. Well with your permission allow me to grab your feed to stay updated with impending post. Merci de votre commentaire. Nous nous essayons de donner des infos intéressantes! J’essai d’être claire, de donner des VRAIS infos, et d’éduquer le consommateur! C’est le but de cette page, ce n’est pas que de la vente! Thanks for another magnificent post. Where else could anybody get that type of information in such a perfect way of writing? I have a presentation next week, and I am on the look for such information.